Having troubles configuring QGetMobile on your mobile device ? Check out this tutorial ! The first part of the guide will help you connect to your QNAP NAS from QGetMobile in your LOCAL network. That is, when using WIFI on your home network, where your NAS is also connected. 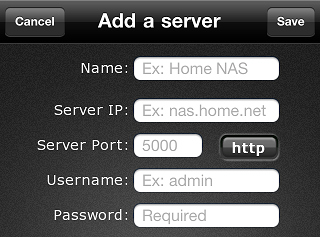 The second part will help configure your router to make your QNAP NAS visible to the Internet. This will allow the connection from QGetMobile using EDGE/3G, or from a public WIFI HotSpot. As you can see, there is also the protocol (http or https) written there. 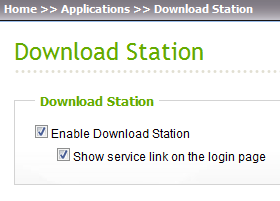 If no port is specified, it is "80" for "http://" or "443" if using "https://". The System Port is the port to use with "HTTP" and the Secured Port (SSL) is to use with "HTTPS". Once all that information has been gathered, you can configure QGetMobile. Enter the IP Address, the Port, the protocol (http or https), username and password, and connect. 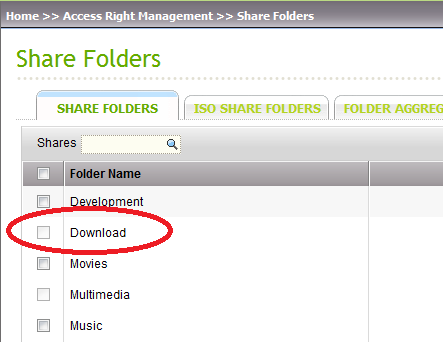 Once connected, you can go to the settings, and change the download folder in "Server configuration". Let me know if you have any question to dev@patey.net ! These different step may vary from one router/modem to this other, but this guide will try to provide some examples so that you can try to find out how to do that in your case. The aim is to tell your router/modem to forward data from the outside (Internet) to the inside (local private network). 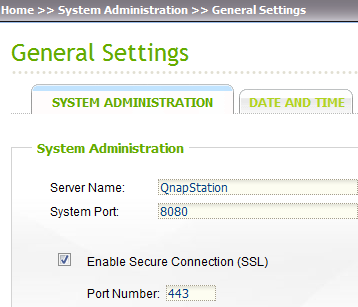 First, find out the public IP address of your QNAP NAS. For this, go to http://dev.patey.net/ip. You can use the web browser from a computer in the same local network. In the above example, this means that when connecting (in 3G/EDGE) to your public IP address on port 12500, the data will be forwarded inside your local network, to the computer with IP address 192.168.0.100, on port 5000. Once done, you should be able to create a second server configuration in QGetMobile , and put your public IP address, the outside port (on the left) you've chosen, and the login/password.